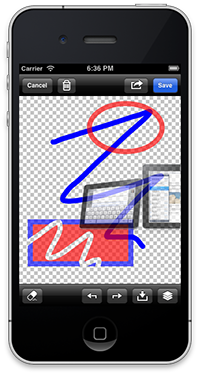 Version 1.1 of SimpleDrawing is available for free on the Apple App Store. This update brings a few bug fixes, along with a bucket tool and a brush tool. The brush tool has several patterns available. SimpleDrawing is an open source drawing app for iOS. The latest source code for SimpleDrawing, including the changes found in version 1.1, is available on the public Git repo. This entry was posted in Technology, Xcode on November 13, 2012 by Nathanial Woolls (Nate).